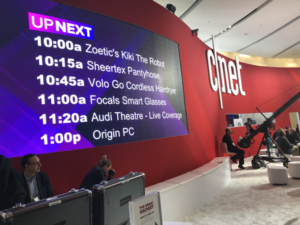 With our eighth year at CES officially under our belts, it’s a great time for us to recap our most successful CES to date. As a public relations and social media agency with a large roster of consumer tech clients, CES is our biggest event of the year. Starting in January 2018 – seriously, we started prepping the day after last year’s show ended! – we meticulously planned how to provide the best possible CES 2019 experience for our clients. This year, we had 22 clients and seven Uproar staff members at the show. The team worked hard to coordinate briefings, attract top-tier media to client booths and secure coverage. Here are a few highlights from our busy week. 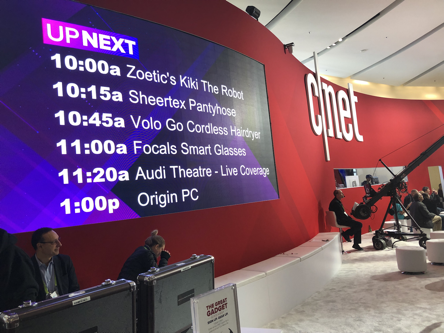 Our clients saw a combined total of 630 pieces of coverage throughout CES – making 2019 our most successful CES to date! 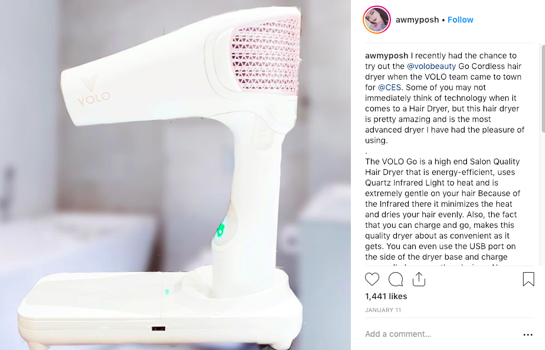 This was due to each Uproar team member leveraging their personal reporter relationships, advising clients on the strongest strategies to launch or make an announcement at CES and thinking outside of the box. For example, we advised our client Sheertex, the world’s first unbreakable pantyhose, to attend CES and tout its advanced manufacturing process and strong fibers. Sheertex may not be your typical consumer electronics product, but they were one of the darlings of CES with coverage in almost every major media site, even appearing on 120 local TV markets across the U.S. What’s more, we had three of our clients featured on CNET’s Live Demo Stage on the first day of the show, right outside of the Sands Expo show floor doors. And did you happen to check out CNN’s live national broadcast on day one of the show? All of those companies you saw are Uproar clients. Back in our Orlando and Chicago offices, we had four social media staff members consistently scouring social media feeds and the CES hashtag to insert our clients into the conversation. The team leveraged Facebook, Twitter and LinkedIn to promote our clients and amplify the coverage earned through media relations. They also worked with influencers to invite them to our pre-CES media suite and client showcase, taking advantage of the rise of this new wave of media who attend the show. Despite CES getting bigger every year, and media scheduling less meetings on the show floor, Uproar has mastered what it takes to break through the noise. Using a combination of media relations and social media strategies, we pride ourselves on delivering a superior CES experience for each of our clients year after year. Are you already thinking about CES 2020? Us too! Reach out to us to get started.